Just after the 1265 junction, we’ll approach US-60. 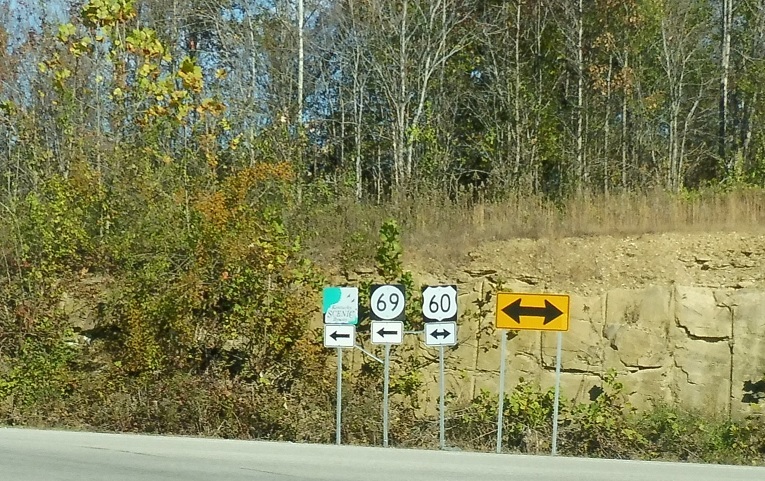 Turn left for 60 west/69 north, which run concurrent to Hawesville. Turn right for 60 east towards Hardinsburg.